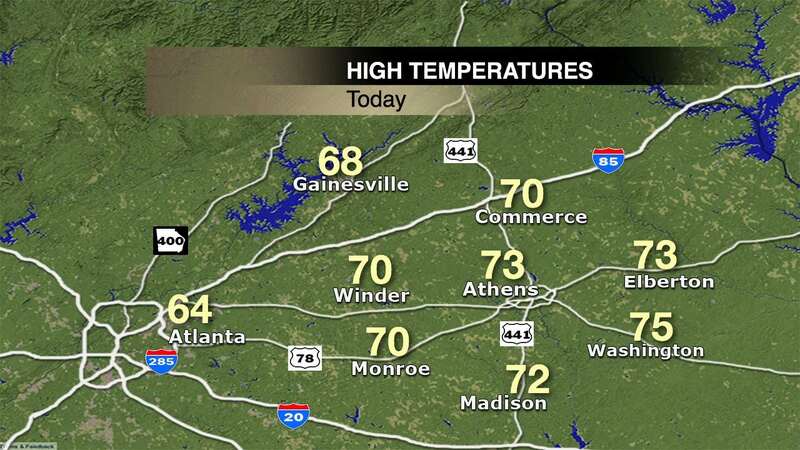 Athens, GA- Today you can expect temperatures in the low 70’s and tonight it will be in the low 40’s. A cold front is moving through the area today. 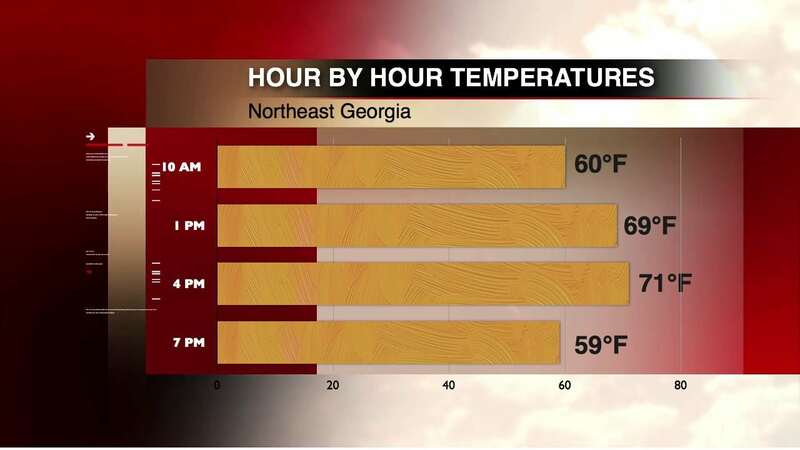 It’s going to be cold for the next couple of days, but it will be even colder this weekend for “The Deep South’s Oldest Rivalry.” At the 7PM kickoff for the Georgia vs. Auburn game, expect temperatures to be about 40 degrees and to cool down throughout the night. 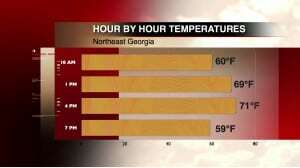 Throughout the weekend you are looking at the high to be around 50 degrees. Reporter Allison Morrow will bring you updates throughout the day.